Engineering is the practice of applying design and safety standards to meet the operational requirements of buildings, and processes. Equilibrium’s engineering team draws from a wide experience base in the fields of manufacturing, building design, education and mechanical systems.  Our Professional Engineers work closely with our clients to identify the necessary design standards, and to develop a finished product that will comply with both provincial and regional requirements. MEP design is a broad field that covers everything from on-site review to detailed design drawings. Equilibrium Engineering provides a full suite of mechanical, electrical and plumbIf you are considering the construction or renovation of a building, you will most certainly be required to provide proof that your project complies with the National and Provincial Building Codes. Equilibrium’s Professional Engineers work directly with our clients and the Municipal Building Inspectors to provide a third party verification of construction projects. Our team will prepare all necessary documentation for submission, and provides on-site review to verify that the construction requirements are being met.ing design services to meet your needs. Equilibrium’s team of Professional Engineers and Engineering Technologists provide a full suite of residential and small commercial design services. Our team can provide construction plans, project pricing, and project management services at any stage of the construction process. Energy efficient building envelope design options are always included to our clients, and form the basis of our commitment to long-term sustainable operations. Equilibrium provides a wide range of quality assurance services aimed at verifying that the installed product meets the specifications of design documents, and the operational requirements of the owner. For example the implementation of energy efficient products/equipment is only part of a complete energy management process. Actual energy savings should be measured prior to and following the installation to ensure that the calculated savings are being realized. Our team will work directly with management to develop a quality assurance plan and to provide independent review of the results. Engineering drawings are used to provide accurate information about a building and its systems. Whether designing new, or making changes to existing equipment, having detailed information for the trades to reference is critical to delivering a quality project. Equilibrium Engineering has the resources needed to prepare complete drawing packages for our clients.  Our stamped drawing packages can be used for installation guidance and for proof of code compliance. Commissioning is the often-overlooked process of verifying that newly modified or installed systems are done in accordance with design standards and specifications. A recent study undertaken by the Canadian Green Building Council (CaGBC) found that approximately 10-15% of the equipment specified in construction plans never actually makes it into the building. Hiring an independent commissioning agent ensures that you have a third party verifying that you get what you’ve paid for.  LEED® is a third-party certification program and an internationally accepted benchmark for the design, construction and operation of high performance green buildings. 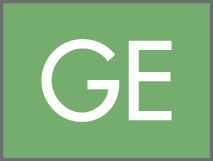 LEED® provides building owners and operators the tools they need to have an immediate and measurable impact on their buildings’ performance.